We’re headed to the Seelie Court in an upcoming episode of Shadowhunters. Freeform has released a brief synopsis and photos for episode 14 of Shadowhunters season 2, titled “The Fair Folk,” which finds Clary and Jace heading to the Seelie Court at the request of the Seelie Queen herself, as well as Alec attempting to mend fences between Shadowhunters and Downworlders. Although curiously, there are no photos featuring Jace, Clary, and the Seelie Queen. Guess we’ll have to wait to see that on screen. The episode airs Monday, June 26. 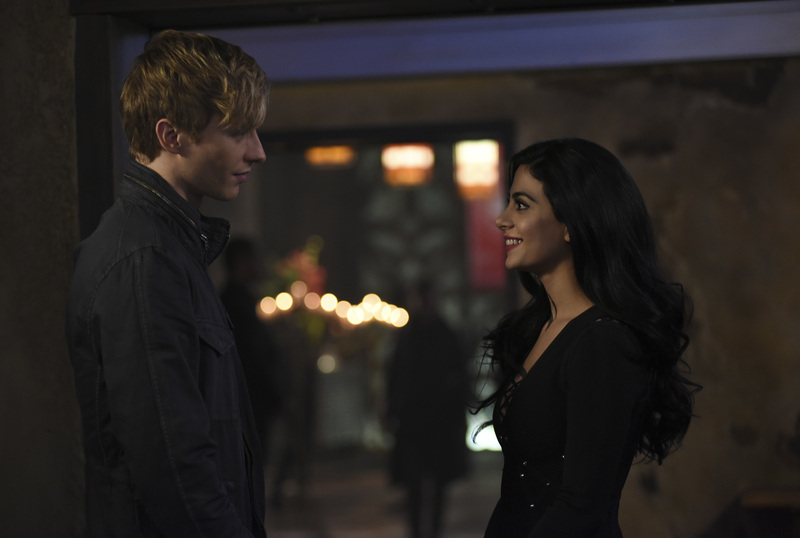 SHADOWHUNTERS – “The Fair Folk” – Alec has big plans to mend fences with the Downworlders, while Jace and Clary are summoned by the Seelie Queen in “The Fair Folk”, an all-new episode of ÒShadowhuntersÓ airing on Monday, June 26 (8:00 – 9:00 PM ET/PT) on Freeform and the Freefom app. (Freeform/John Medland) MATTHEW DADDARIO, HARRY SHUM JR.